Today’s Question: How do you make yourself a home for God? Br. Mark Brown talks about how “abiding” means also “to remain”. 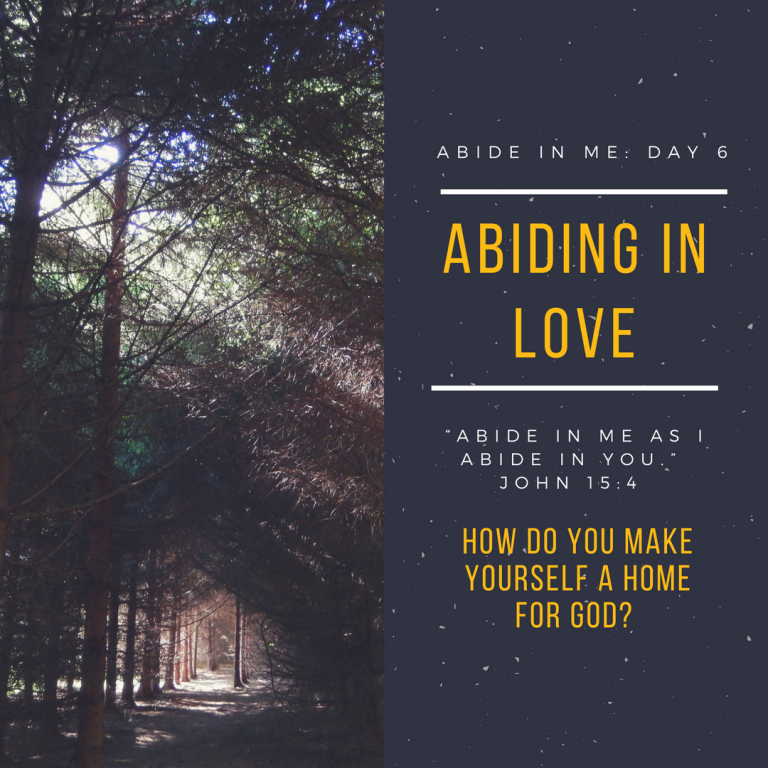 He asks if the Spirit is inviting us to the make a conscious decision to intentionally abide in Christ in a deliberate way. This helps me to remember that Christ’s love for me never waxes and wanes, but is a constant, ever-shining beacon of light that is always within me. If I am constantly overflowing with Christ’s love, I should have more than enough to share with others. Making a home for God means letting him crowd out everything else and settle in. Please enter the discussion: How do you make yourself a home for God?